It was my birthday a few weeks ago, and what is a birthday without cake? Well, nothing (in my books! 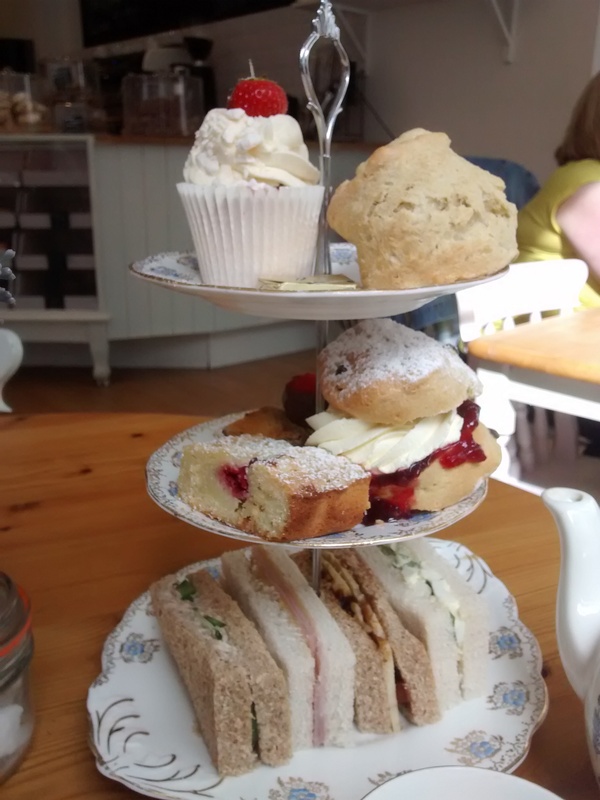 ), so a friend and I booked to go and have afternoon tea at The Great British Cupcakery in Newcastle, which is just by the Quayside. I’d never visited before, but I follow them on Instagram (and currently lusting over their incredible-looking milkshakes), and everything looks so beautiful that I was excited for what was in store. When we arrived, a waitress kindly showed us to a small table which had a ‘reserved’ place card on it, which was a nice little touch. We chose our teas (peppermint for me and earl grey for my friend) and waited eagerly for our afternoon tea to arrive. I always want to dive in first with the scones (I love scones!) but patiently ate my way through the sandwiches first which were all soft and delicious, before helping myself to the top two tiers. The chocolate chip scone was scrumptious and packed with jam and cream, and I loved the blondie with its light almond flavour. Our waiters were lovely and attentive, and I was surprised to see the parlour so busy considering it was a Monday afternoon. I love the décor of pastel colours with gold trim, and there were quite a few customers who came in just to take away sweet treats from the counter. For £19.95 per person, it’s not a cheap afternoon tea but is on par with other prices in the city. I’d certainly recommend it. 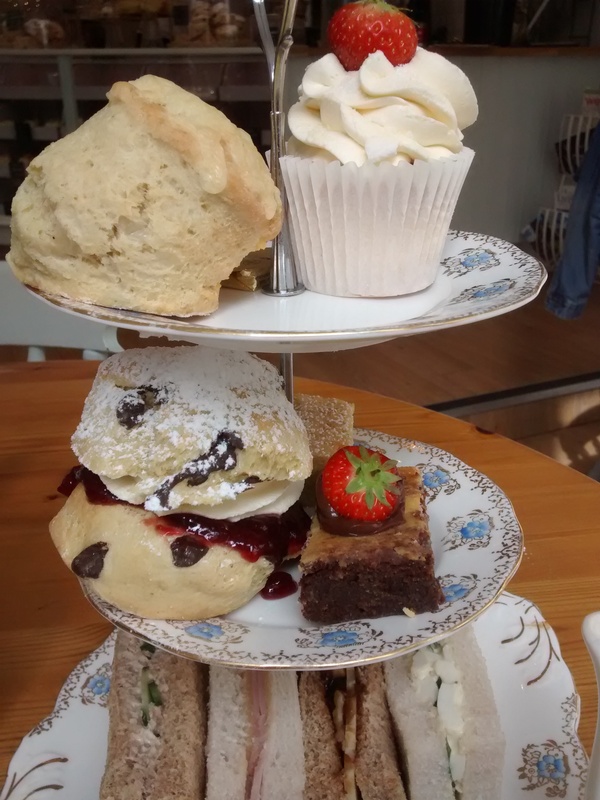 Have you been to The Great British Cupcakery before? Has anyone tried one of their indulgent milkshakes? That’s what I’m going for next time! 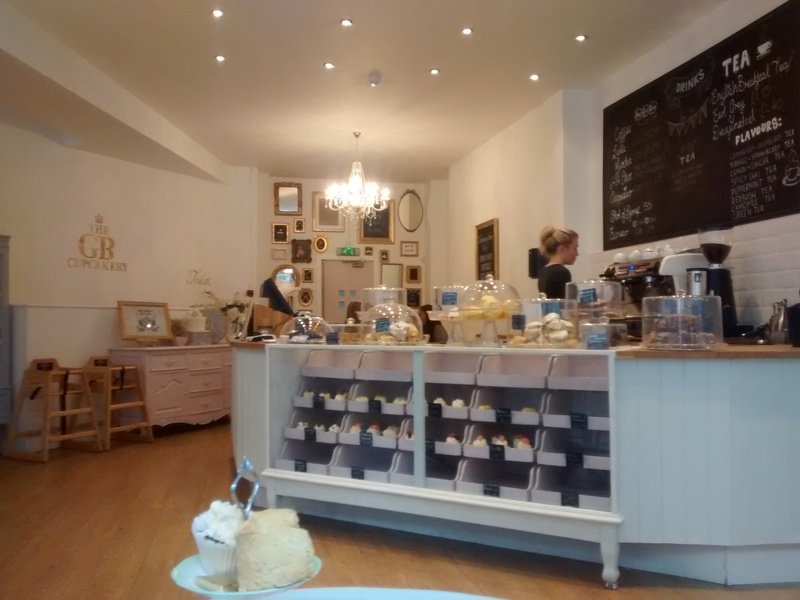 The Great British Cupcakery can be found on 15 Queen Street, Quayside, Newcastle. You can also check out their Facebook and Twitter pages here. HOW DID I NOT KNOW THIS EXISTED!! Need to go. Looks lush! It really is a hidden gem! I’ve been a couple of times and it’s always beaten me – the cakes are mammoth!!!! I think I discovered it after you blogged about it… The cakes are huge! It sounds great! Like you, I followed them on instagram because of their milkshakes, I’ve since tried the Cookie Dough one and can recommend it. I’d barely ate the cream of the top and thought what have I let myself in for and that’s not like me! It was so filling but so good.